Day Two was another massive night, running around town catching new talent, and finding some real gems to savour. It was a night that included an array of different music genres ranging from loud hard rockers WAAX and punk act The Bennies, to the soothing soft vocals of Airling, to some country/folk tunes by the Pierce Brothers while Art Of Sleeping and Tin Sparrow brought us some sweet indie pop tunes. 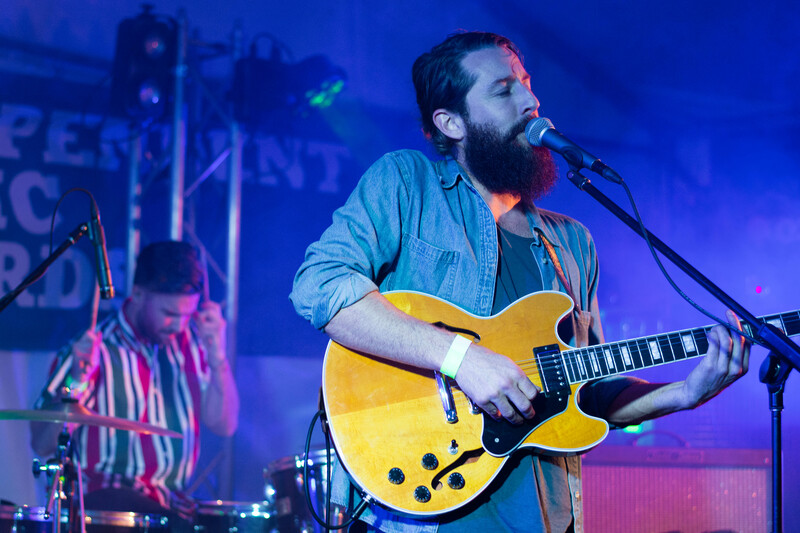 Day two began with a loud bang with WAAX taking to the Triple J’s Unearthed stage. I loved walking into this venue each time, walking into the green lit room and seeing all the lanterns hanging from the roof. 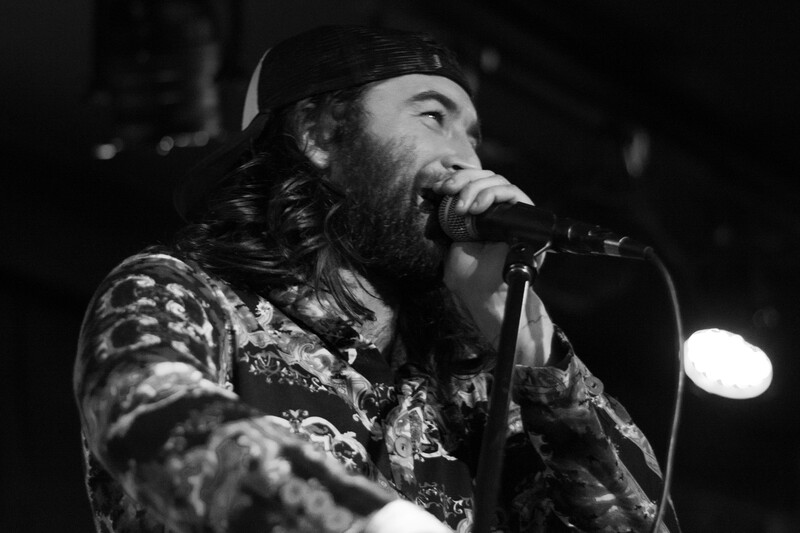 The room filled quickly as Brisbane’s own punk inspired rock outfit took to the stage, launching into an impressive instrumental number that warmed up the crowd nicely for their boisterous and sometimes abrasive set. Accidentally finding myself standing in-front of the large front speaker, I quickly pulled out my earplugs to prevent my eardrums from exploding from the deafening sounds of guitars. It was loud rock and roll at it’s best and these guys are definitely a band to listen out for. 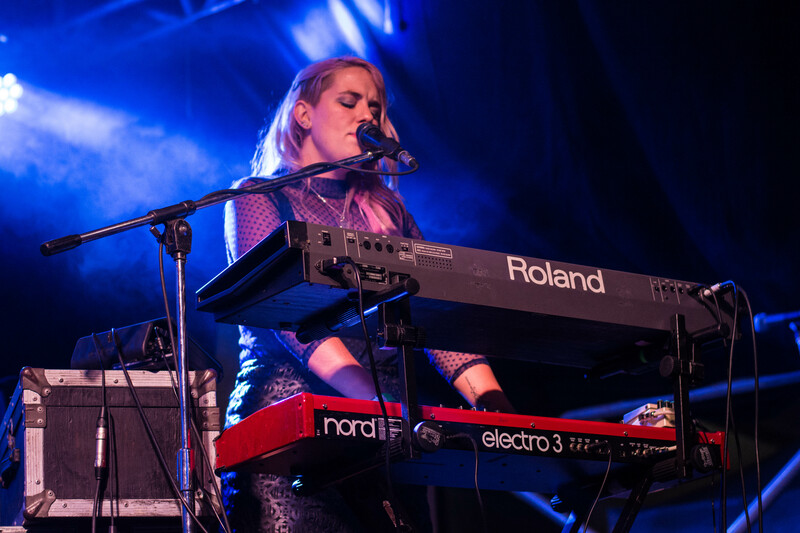 In complete contrast to the intense guitars and drums of WAAX, next I found myself at the JBL Live Stage at Brightside, where Airling performed a delightful set, sitting up high on the stage in front of her keyboard, while her drummer sat behind a clear glass barrier. I must admit I was quite surprised by the large turn out for her set. I had only heard of her via Big Scary’s social media accounts and I hadn’t actually heard her music anywhere else, but apparently I have been living under a rock. Her vocals were soft and soothing, and her songs had graceful swinging melodies which also at times had a big kick to them with luscious electronics and dreamy beats. “The Runner” was particularity memorable for its fluctuating dreamy rhythm and her velvety vocals. 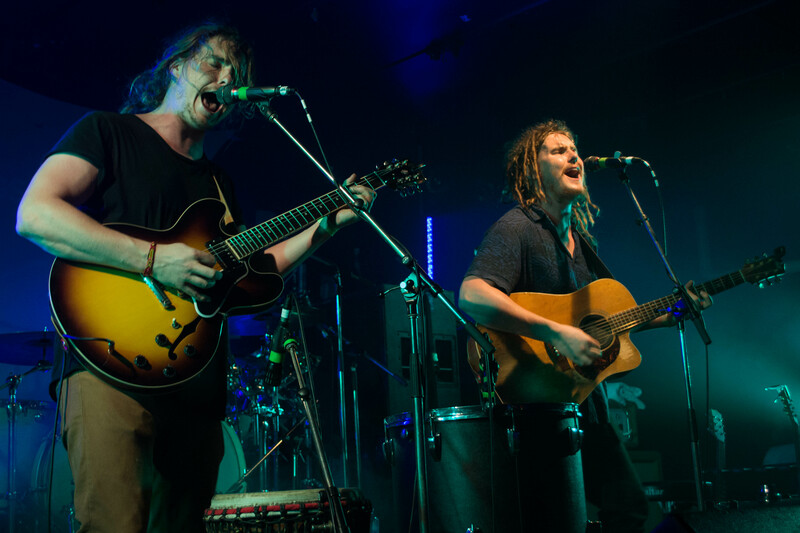 Next, I found myself walking into the dark lit Alumbra Lounge, where I caught Tin Sparrow, a four-piece folk duo from Sydney. It was really nice to sit back with a beer and watch these guys play as I could feel the exhaustion begin to creep its way into my feet. It was intimate, with maybe only seventy people in the lounge, as they performed new songs off their new EP. In particular their new single “Echoes In The Dark” was gorgeous with it’s pretty melody that made my heart dance. What stood out to me about the group’s music though was the way in which Dean McLeod used slide effects on his guitar in most songs, differentiating their musical style from others in the same genre. The Pierce Brothers, made up of brothers Jack and Patrick, were up next and continued the chill-out vibe, throwing in some laughs and enjoyable on-stage banter during their set at The Zoo which was a pleasant change from the quick sets I had witnessed so far. Patrick was particularly talented with his percussion instruments, as he leaped across the the large side speaker and started playing it with a pair of drumsticks, before jumping off the stage and ran around playing any surface he could find, adding different tones that accompanied Jack’s guitar. 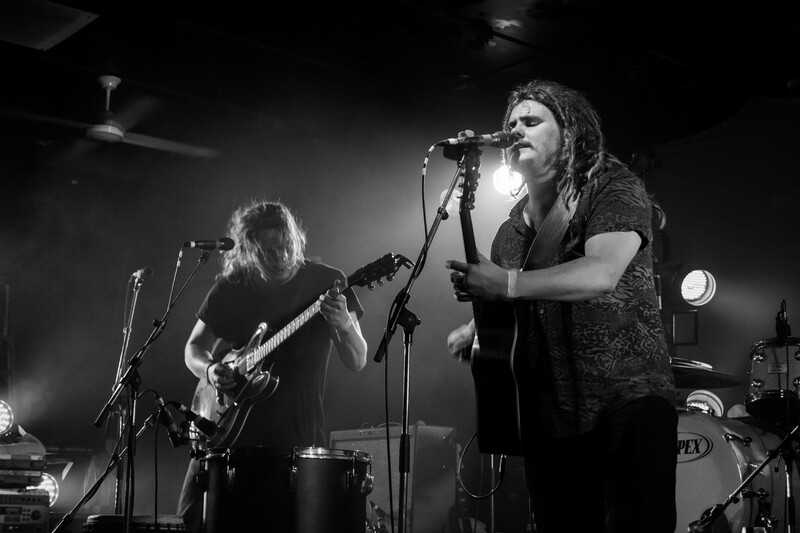 Their latest EP The night Tree has done particularly well recently, reaching top twenty on the Aria charts and there is no denying what attracts listeners to their music. 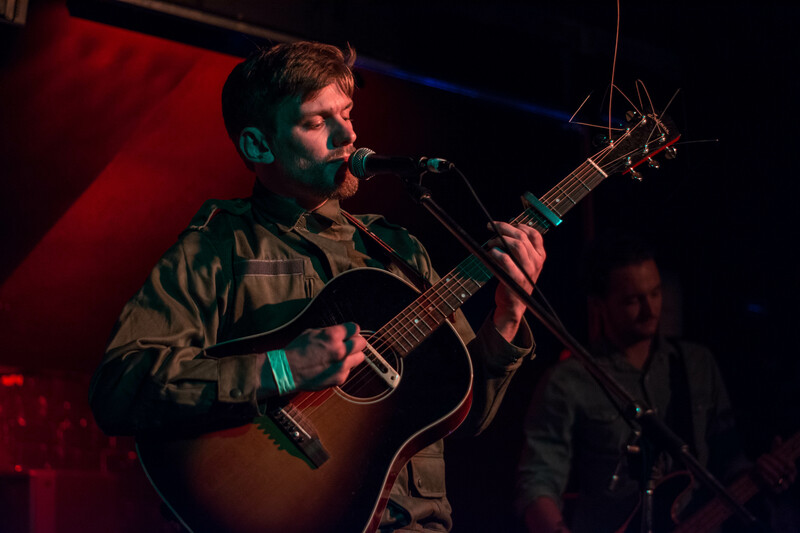 Throughout their set, you could hear the boys have been influenced by artists such as Johnny Cash and The John Butler Trio, bringing country music and pop together in a way that is natural and exposes their natural talent. Art Of Sleeping were playing around the corner at The Elephant and I managed to catch the second half of their set. What I heard was lovely ambient tones and textures that were accompanied by Caleb Rodgers vocals that demonstrated a strength that can only be defined as impressive. “Empty Hands” was the stand out however with its fetching hooks and catchy chorus. Punksters The Bennies closed the night at The Globe Theatre with their crazy onstage partying antics and simple yet fun punk numbers. Anty was pretty much the life of the party, jumping around on stage in his gold leggings, and leaping into the crowd with the utmost faith someone would catch him. It was very much of a boy’s scene in the front few rows, and unless you wanted to join in the crazy uncontrollable dancing by the front-row punters, then it was best to stand back and watch from a far. The group’s lyrics may be trivial and their songs may not be technical in any way, but they are a joy to experience. Something tells me these boys would hate being locked up in a recording studio, and would rather be touring and partying with their audiences any chance they get. By far though, Airling was my favourite discovery of the evening with her sweet vocals still staying with me as I hit the parties that evening. With that said, BIGSOUND has come to an end for another year and after seeing 14 bands over two nights, I will need a couple of weeks to recover from the exhaustion but there was such an incredible array of up and coming talent to keep us happy for the next couple of weeks, until we get that uncontrollable twitch to need to see live music again. Well done BIGSOUND, well done! 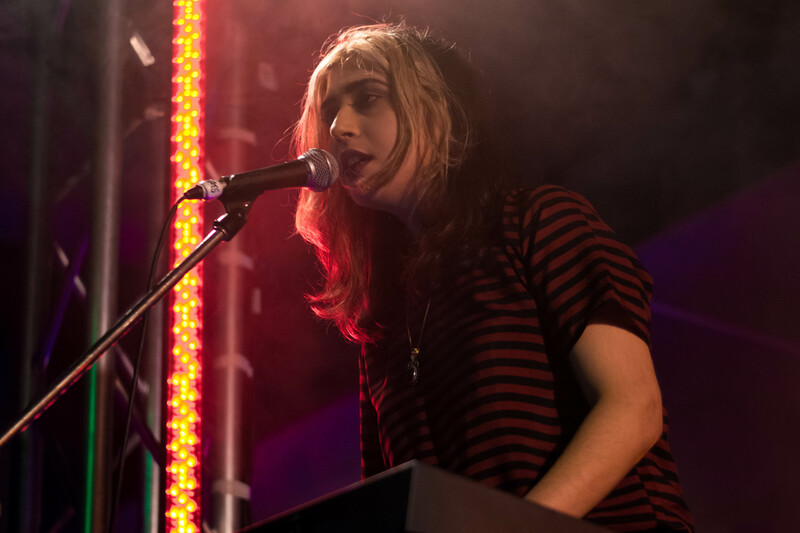 Tags: airling, artofsleeping, bigsound, bigsoundlive, brisbane, fortitudevalley, livemusic, musicreview, Pierce Brothers, piercebrothers, thebennies, Tin Sparrow, tinsparow, waax. Bookmark the permalink.